At the 13th International SOEP User Conference, the seventh Felix Büchel Award was presented to Armin Falk. After previous awards went to economists, a psychologist, a political scientist, and a sociologist, this is the first time that an economist working in the field of experimental economics receives the prize. The award includes a 1,000 € cash prize and an invitation to deliver the keynote at the SOEP conference, which Armin Falk gave on “Global Evidence on Economic Preferences”. 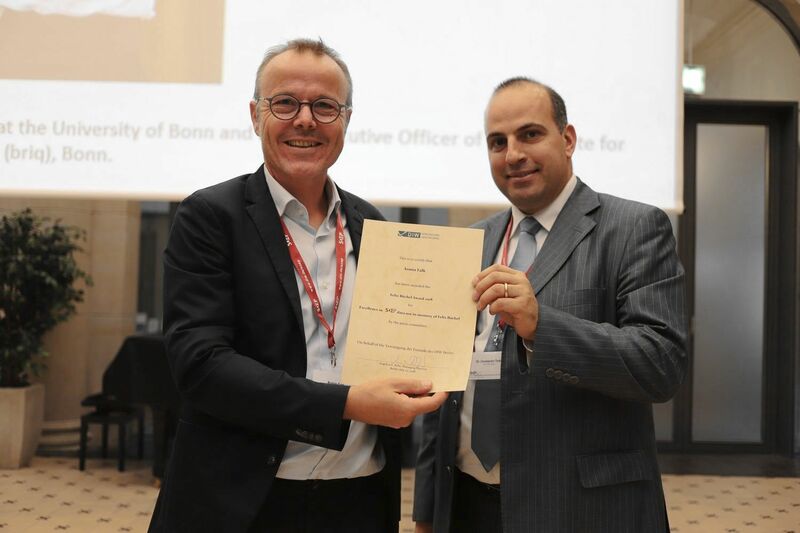 The prize certificate was conferred by Constantin Terton of IHK Berlin, who represented the award sponsor, the Society of Friends of the DIW Berlin (VdF). Armin Falk’s research deals with the psychological foundations of economic behavior. He has shown, for instance, that attempting to monitor and control employees may be less effective than trusting them. He has proven that alongside self-interest, social comparisons are an important aspect of human behavior, and that people reward fairness. In past award presentations, it has been noted that Armin Falk’s findings have significant implications for basic economic research as well as important practical applications. In other words: Armin Falk’s work represents knowledge transfer at its best. His findings aim at improving the explanatory power of economic models and have provided the basis for empirically well-founded economic policy. In a number of field and laboratory experiments, Armin Falk has tested what motivations drive people’s behavior in different economic situations. In his work, he is not afraid to combine methodologies from life sciences with data from surveys or experiments.